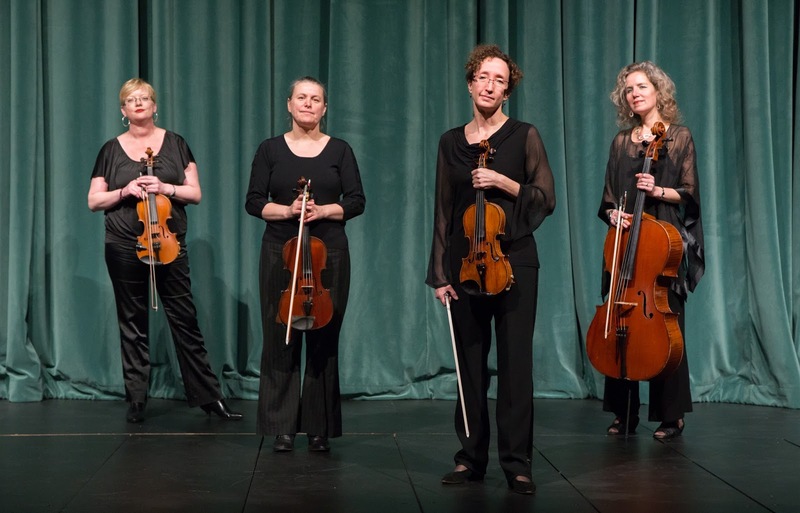 Strathcona String Quartet is Edmonton’s most outstanding and versatile professional chamber ensemble. Performing together since 1987, they play everywhere from Alberta’s large concert and recital stages to weddings, conventions, and garden parties. The group has released two highly praised CDs that are frequently played on radio stations across North America including locally on CBC, CKUA, and CJSR. They are now looking forward to performing in Spruce Grove as part of Horizon Stage’s 15/16 Season on Friday, October 30. Shannon Johnson has won classical violin and fiddling awards at national and international levels. She began performing professionally at the age of eight, wowing music fans and critics with her strong, pure playing and exceptional improvisational skills. Shannon also performs with Edmonton’s Juno award-winning Celtic ensemble The McDades and popular local Celtic/folk/rock band, Captain Tractor. A versatile musician, Josephine van Lier has garnered world-wide critical acclaim for her 4-disc recording of the Bach cello suites. Founding member, president and artistic director of Early Music Alberta, Josephine is a strong advocate for the historically informed performance practice of early music. A passionate and very active performer, soloist and chamber musician, she is always looking for challenging and exciting projects. Sarah Wilbur-Woodman began her studies on viola at 10 years old. She has played as an orchestral and chamber musician from coast to coast and performs frequently with the Edmonton Symphony Orchestra and many local chamber groups. Sarah maintains a busy private studio and conducts two student orchestras at Grant MacEwan Alberta College Conservatory. The world of music, past and present, is populated by innovators, iconoclasts, and eccentrics. 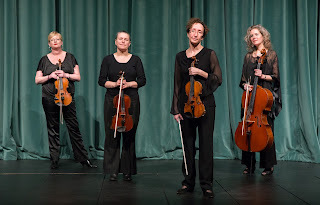 The Strathcona String Quartet has chosen three of the most eccentric composers of Baroque, Classical, and Romantic music for their 2015 fall season; Beethoven’s Opus 18, No.4, Brahms’ String Quartet Opus 51, in A Minor, and Avison’s Concerto V in D minor. Beethoven’s Opus 18, No.4, is one of his early quartets in which he demonstrates his precocious mastery of the classical form, beating Haydn and Mozart at their own game, and already beginning to show his impatience for something wilder. Brahms’ String Quartet Opus 51, in A Minor, is one of the three string quartets he published in his lifetime. This quartet was his first - excluding the 20 that he wrote previously and destroyed because he didn’t think they were good enough. Charles Avison’s Concerto V in D minor is a driving, energetic piece, full of excitement and forward motion. Enjoy a night of stimulating and exhilarating music performed by Strathcona String Quartet at Horizon Stage on October 30. Concert start-time is 7:30 p.m. Tickets are just $35 for adults and $30 for students and seniors and may be purchased at the City Hall Ticket Centre (315 Jespersen Ave) or by phone at 780-962-8995 or 1-888-655-9090, and online by visiting www.horizonstage.com and clicking on the ‘Tickets’ link.